SAN FRANCISCO — Will.i.am's new Puls band, the Apple Watch and the Samsung Galaxy Gear smartwatches all focus on consumers, but pioneering are already integrating wearable technology into their businesses. Virgin Atlantic was one of the first to use Google Glass in a business context, handing out the headsets to its flight attendants to give passengers a more personalised experience. The initial six-week trial reportedly was successful, and the airline is now considering how to develop its use of the technology. Now businesses such as oil and gas companies, retailers, hotels and casinos are all considering how to use wearable tech to make employees' lives easier or to spice up the customer experience, according to a panel of experts speaking at the Dreamforce conference here this week. Brent Blum, founder of Accenture's wearable technology practice, said he was working with a number of Fortune 500 companies on pilot projects. One example is Philips, which has been exploring how to use Google Glass in hospital operating rooms. The project is a proof of concept, and will not necessarily be developed into a working concept, but demonstrates how wearable tech could, for example, make life easier for employees who need their hands free. Accenture worked on another unnamed pilot project that improved patient care in hospitals. That involved patients wearing smartwatches then providing updates on their health status. "Nurses are made aware of those needs immediately, rather than having to be paged," Blum said. Accenture has also run pilot projects with Toyota, he said. Daniel Debow, senior vice president for emerging technologies at Salesforce, also pointed to Disney's MagicBand as an example of how the entertainment industry could use wearable tech. The band allows wearers to buy food, merchandise and check into their Disney Resort room simply by touching a sensor, in what Debow describes as a "seamless" experience. "Disney's MagicBand transforms the customer experience, and that means a lot," he said. "It's a better experience — and that means more money." 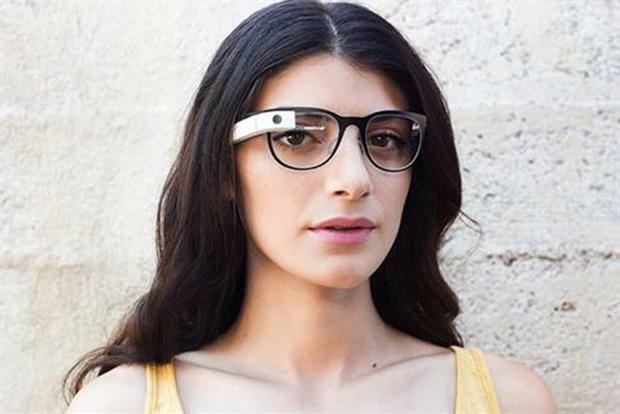 Debow and Blum acknowledged that brands could meet resistance if they try to force wearable tech on employees. "For us, it's about making tools that help people to do their jobs better," Blum said. "The adoption challenge is not Big Brother looking over your shoulder at how effective your day is — though we could get there — but the early-use cases are about enabling people to do their jobs." "It's not a small niche," Debow said. "There are millions of workers who use their hands in healthcare or as technicians. They are already using tools that their employers say they need to use to get their jobs done, such as safety glasses. This is just a different form."